Here are the pictures and a few details of Rylee's 4th birthday cake/party! I saw a cake similar to this on Pink Cake Box's website. We happened to be using this invitation for the party so I thought it would fit perfectly! 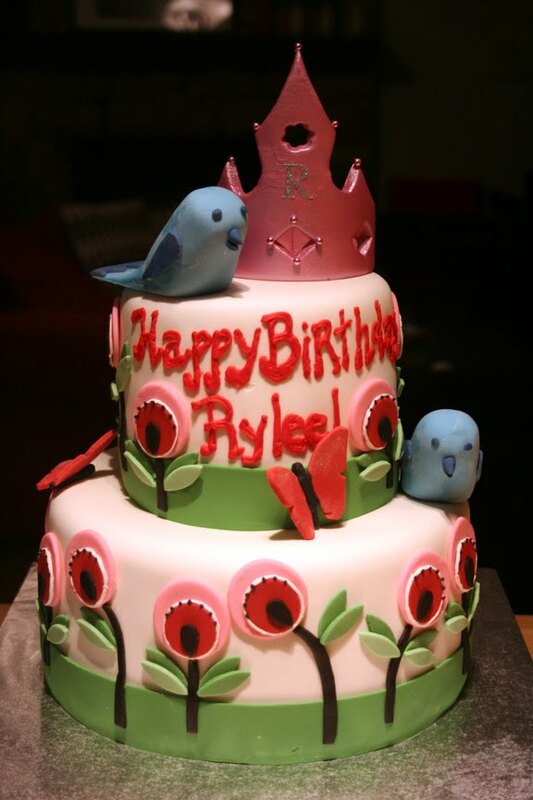 The birthday girl requested a pink crown on top so we added that to the design as well. The bottom tier is strawberry with cream cheese filling. The top is banana cake with cream cheese filling. 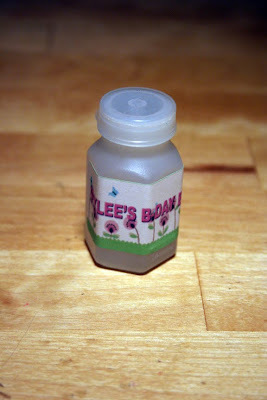 All covered in fondant and fondant details! 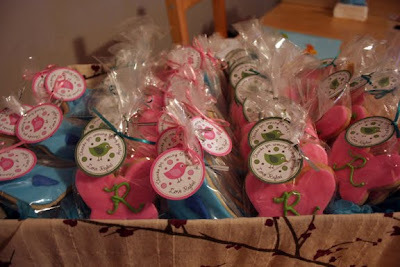 I do two cookie favors each year at her party. These are the ones we went with this year! 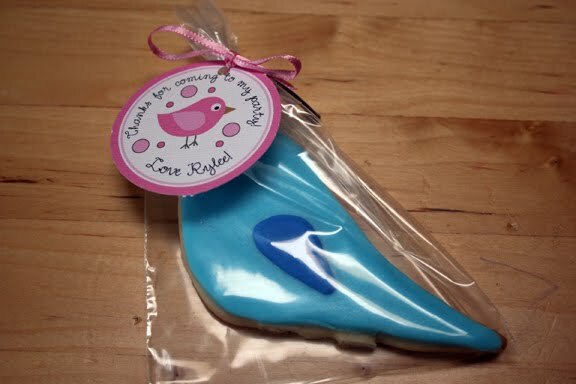 This is probably my favorite part of putting together Rylee's birthday parties. 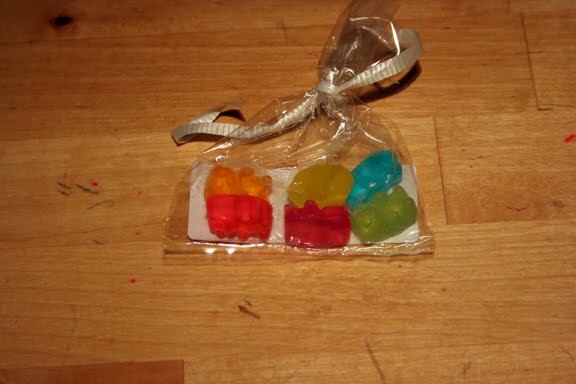 I love to come up with different favors each year. I used the same person to do the boxes as I did last year, with a little different design. Pink and black for the girls, green and black for the boys. 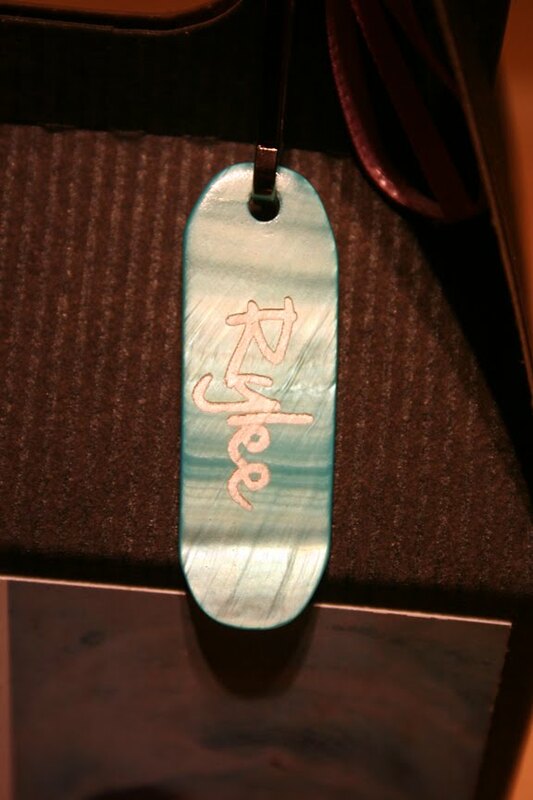 To check out the other awesome designs, visit Shelley at her Etsy shop: http://www.etsy.com/shop/bugandboo. 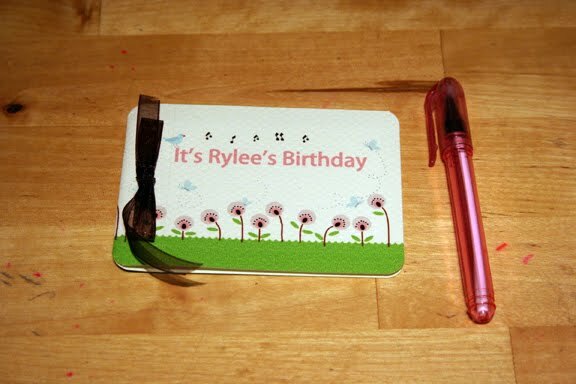 I found another great Etsy seller that made cute mini notepads and had him design some based on the invitation. They came out PERFECTLY! I put a mini gel pen in the box to go along with the notepad. I bought a bulk supply of bubbles (24) in the wedding section at WalMart for about $4. 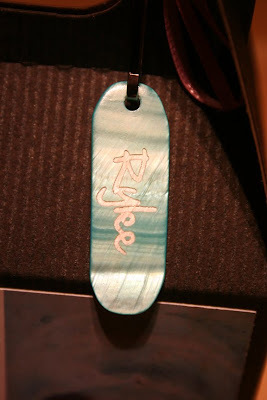 I had Rodney create a label (again based on the design on the invitation) that read, "Rylee's B-Day Bubbles." We printed them on some address labels and attached them to the bubbles. 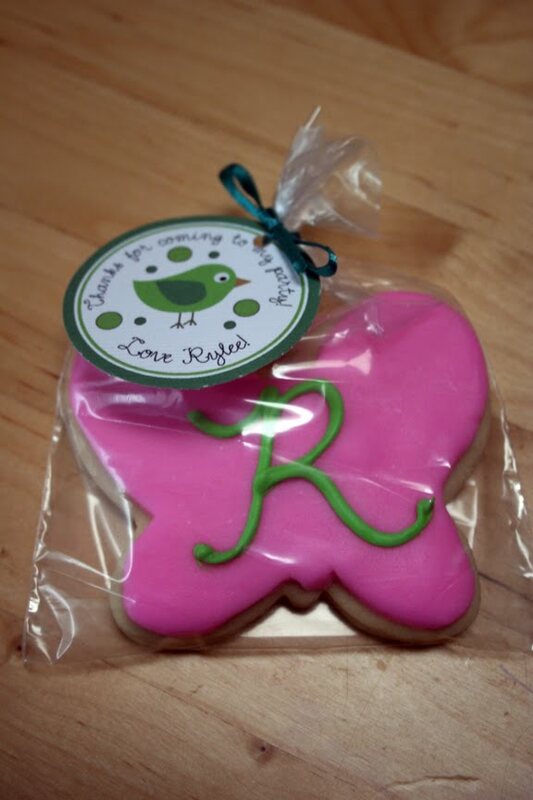 They turned out pretty cute! 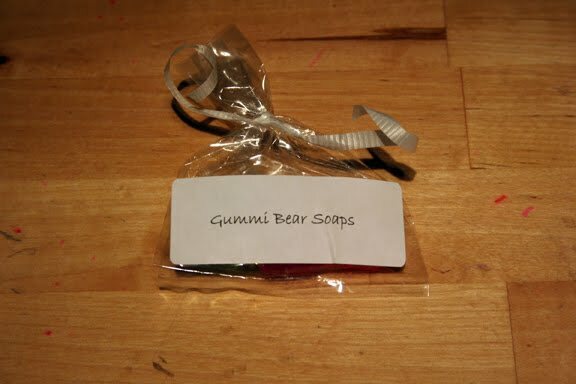 I found another unique Etsy seller that makes fun soaps, including some that look like gummy bears. 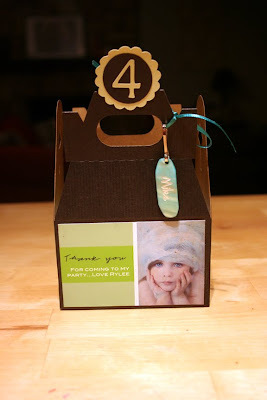 I thought these would be fun (and practical considering it's flu season) for the kids! 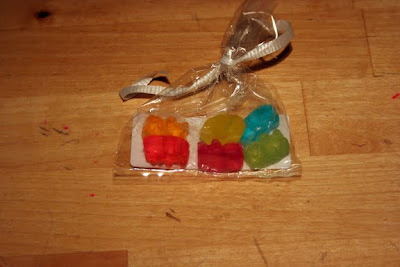 Check out http://www.etsy.com/shop/RuthsFunShop for other cute soaps! 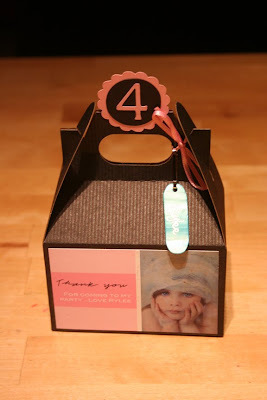 I also added a little package of fruit snacks to each box to complete the whole thing! Like I said, I LOVE this part of party planning!